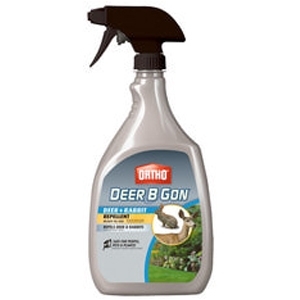 Ortho® Deer B Gon Deer & Rabbit Repellent RTU 24 fl. oz. Repels deer, rabbit, & elk. Safe for people, pets and plants. No stink formula using essential oils. Delivers long-lasting and rain resistant performance.